is an innovative coloring cream absolutely safe for color, lighten or darken your hair. Gives shine and brilliance to the color respecting the structure of the hair, acting without attacking. It perfectly covers gray hair. Guarantees stability of the color. Withstands multiple washings over time. It has a high yield. Shades available in 73 shades in the natural, natural silk, natural ASH, natural tobacco, gold, COPPER, mahogany, red, fantasy, coffee, chocolate, hazelnut, SUPERLIGHTENERS. method of use : a mix of cream and one and a half part of Oxidizing Emulsion Cream in a plastic basin. 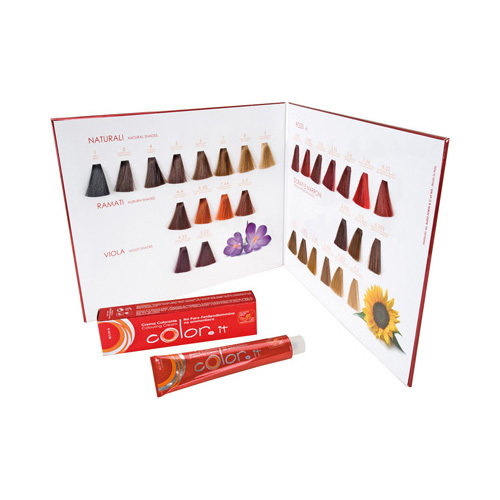 - 40 volumes : for 2 or 3 shades lighter. - 20 volumes : for tone-on- tone color, cover gray hair, lighten a tone. 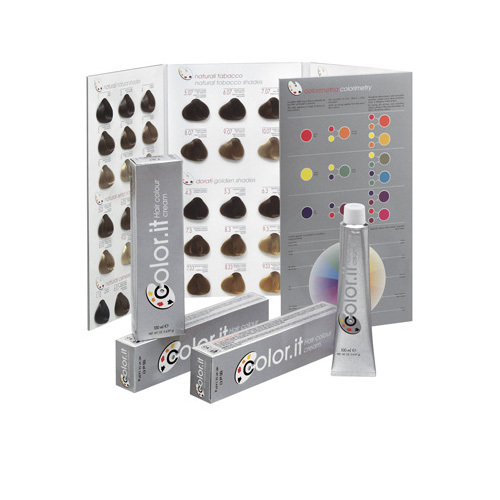 - 10 volumes : to darken a tone, color bleached hair. To lighten more than 4 tones you need to use superlightening shades. The neutral allows you to brighten up any nuance to a tone.